91X BRINGS ARTISTS FROM COAST-TO-COAST TO SAN DIEGO FOR ANNUAL HOLIDAY CONCERT. 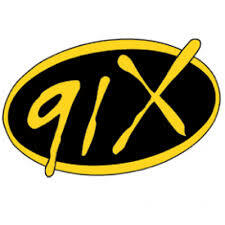 SAN DIEGO, CA – Local radio station 91X announced an international line-up of performers at 91X Wrex the Halls, happening Sunday, December 13 at Valley View Casino Center. Jane’s Addiction will headline, with Foals, Run the Jewels, PVRIS, The Wombats, Will and the People, and a local band to be announced. Jane’s Addiction are from Los Angeles, Run the Jewels and PVRIS (pronounced “Paris”) are up and comers from the East Coast, while Foals, The Wombats and Will and the People hail from Oxford, Liverpool, and White Waltham, England, respectively. Wrex the Halls tickets are on-sale at 10:00 AM today to listeners registered with 91X’s e-mail and texting lists. Tickets go on-sale to the public Friday at 10:00 AM. One final band from San Diego will be added using resources from startup GigTown, a free mobile app that makes it easier than ever for local music fans and venues to discover, follow and book their favorite musical artists. So it's a lineup of bands that 91X doesn't play except for Foals right now and Jane's Addiction once in a while. What an awful lineup to put out there for the fans. Didnt Jane's Addiction play Xfest a couple of years ago? Why have a band play with no new music to promote as a freaking headliner, I remember Wrex the Halls with QOTSA, VAMPIRE WEEKEND, CAGE THE ELEPHANT and freaking ARCTIC MONKEYS now that's a lineup you could be proud of. No wonder 91X is #2 in San Diego right know. Not even gonna try to win tickets let alone buy them.